Established in 2009, eAgile sets the industry standard in IoT and RFID solutions and is a world-class provider and innovator of security print, brand protection and intelligent packaging solutions. In our vertically integrated facility we design, manufacture and distribute standard or customized IoT and RFID products in UHF, HF, NFC, LF and Dual frequencies across a wide variety of form factors. eAgile’s Integrated Solutions is governed by a stringent ISO 9001:2015 certified quality management system to ensure continued excellence. 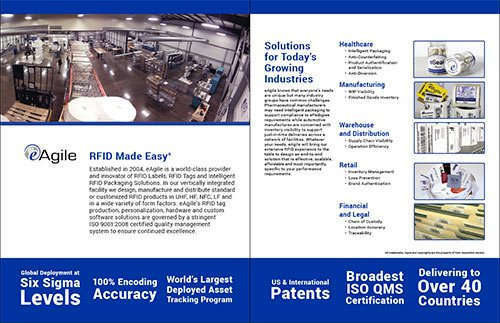 eAgile’s commitment to innovation, quality and providing customer focused solutions drives every aspect of our business from tag selection to the design and integration of complete RFID infrastructures. eAgile’s eSeries of tags and labels align the performance and system requirements of your application to an industry-proven engineered solution. 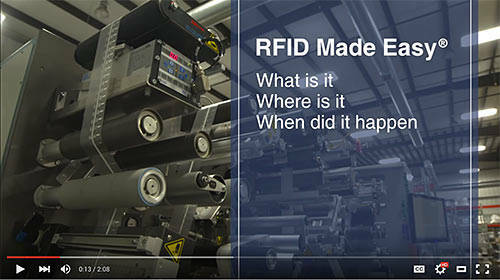 eSeal is engineered to replace current cap and closure specifications with RFID enabled intelligent or smart packaging.